On Oct. 7, alternative rock British musician and singer-songwriter Bishop Briggs headlined Oklahoma City’s Tower Theatre. 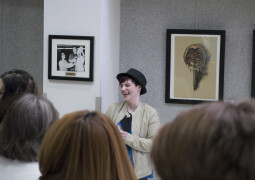 She performed her most recent album “Church of Scars,” which released in 2018. 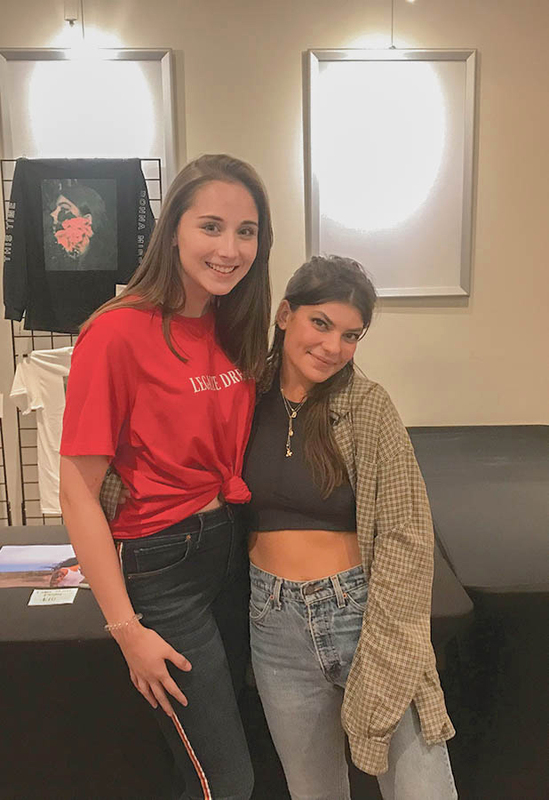 Pop/rock/R&B singer-songwriter Donna Missal opened for Briggs and performed songs from her most recent album “This Time” which released in 2018. Missal also performed a few songs she released before her 2018 album. For her performance, Missal wore light wash, high waisted denim that cut off at the boot cut leg, a dark grey crop top, an oversized plaid men’s button up and white Nike air force one’s. Her voice was coolly seductive, strong, powerful and fiercely emotional. As an opener, I expected her to be subpar, nothing special or out of the ordinary. She shattered my expectations the second she walked on stage. Briggs said during her performance that Missal was a hard act to follow. She joked that she regrets the decision of inviting Missal to open up her shows. Missal brought delicacy and at other times rigidity to her songs; she moved with her music. Both Missal and Briggs performed together as one, becoming indecipherable from one another. There was her drummer, guitarist and herself. Missal knew how to dance. She would move her body in a way that made the audience want to move too. She emphasized the beat to her music with her body, never missing a beat. She appeared nostalgic and ingrained. I have never seen someone become as intimate with his or her music as Missal was. It was simple, not a fashion show. The audience was there for her music and so was she. After her performance, she made herself available to her new fans outside the theatre for a quick meet and greet. She was excited to hear that I enjoyed her songs and performance, gave me an ecstatic high five, and took a photo with me. She had a hard rock sound to her voice, but when she spoke to the audience in between songs, she was so sweet. She made herself appear delicate and small when she would shrug her shoulders in and keep her body close together. She would keep her mic close to her mouth and would smile so big. I was so much in awe that her voice and power came from her delicate soul when she spoke to her audience. Briggs had a confident stage presence and held a constant energy. She had a tendency to jump and jog around the stage when she sang, which led me to expect some type of burnout. Nope. She continued each song with the same energy. She would stare into her audience’s eyes and jog in place while maintaining the intensity of the music and lyrics. It was captivating. She appeared so comfortable and passionate about what she was performing. Most artists I have watched live wear extravagant outfits and sparkly red high heels, but Briggs wore joggers, an oversized Stussy t-shirt and Vans. Her focus was not on her appearance but on the performance and the music that she was presenting. Her lyrics were raw and intensified and her choice of clothing reflected that. After she finished her closing song, she waved, smiled and jogged off stage. I feel as though Briggs really appreciates her fan base considering that she took the time to like both of my Instagram posts from the concert that I tagged her in. Most artists do not do those types of things. I was left wanting even more.